Are you an actor or a creative who wants to learn how to make your own short film? This article provides 6 steps to help guide you. Actors today, more than ever, have the power to create their own films and build on their careers. The ability to rent or borrow equipment has never been so available as it is today in the industry. The advancement of cameras and their cinematic qualities that compete with the visual look of film and the cost factor to have such equipment in your hands is quite remarkable. Just because you are an actor does not mean you do not have the power to develop and produce your own story with you as the main protagonist. At times, the thought of making your own movie may seem like a magic trick you don’t understand and I’m here to say that it’s not anything you cannot comprehend or achieve. So, where does an actor begin? You begin with the script. If you don’t consider yourself to be a writer, that’s okay. That won’t stop you from moving forward. 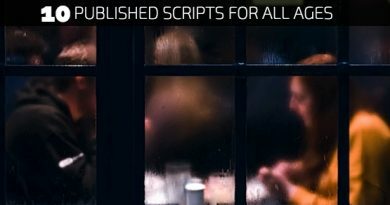 Place an ad on the internet with specifications of the kind of story and character you are looking for and I guarantee you that you will receive dozens if not hundreds of short script submissions by screenwriters. You can work out an arrangement with the writer to buy the rights to make their film. Any up and coming screenwriter will be highly interested in seeing their script turn into a film for a reasonable fee. If you are of the mind that you would like to write your own short script than by all means go ahead and write it. You may even consider co-writing your screenplay. You can do this. 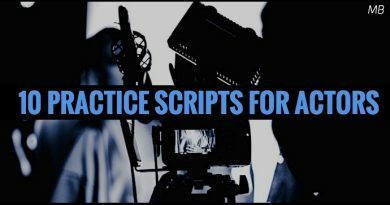 Don’t know how to write a script? Watch as many short films as you can. There is a goldmine of them online that you should watch and learn from. This will help provide for you some structure and understanding of the short storytelling format. It’s also not a bad idea to read short stories to increase your familiarity with short narrative storytelling. You don’t need to be a screenwriter for years to write a script so don’t let that way of thinking stop you. As with anything, the more you put into your writing, the more you will get out of it. Tip #1: It’s a good idea to have a minimal amount of locations. This is wise because of budget. The more locations, the more money you may have to raise in order to shoot at those locations, unless you get certain places for free, which is always a good thing. Tip #2: Try to keep a small cast. Perhaps 1-3 characters. Tip #3 – Try to stay away from special effect stuff, unless that is what you love and want to tell a sci-fi genre film. I’m only pointing out that it will make your life a bit harder for budget reasons. But it is still possible if that’s the film you wish to make. 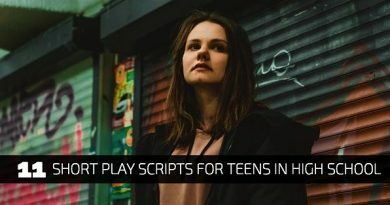 Of course, these are tips to be mindful of but only you will know where you stand with your own material when it comes to developing your own script. The reason why it’s important to sort of minimize the size of your cast and amount of locations is because it will come down to the amount of money you need to raise to budget out your script. Now that you have your script in place, it’s time to budget. The way you do this is by calculating the amount of shooting locations first. If you have a scene that takes place in a bar for example, you need to ask yourself questions like, “How much will it cost to shoot at a bar location?” You won’t truly know the answer to some of these questions until you do some further investigating. As you gain insight into the costs, begin jotting it down and begin adding things up until you reach a total. try to lock in a specific number of hours…let’s say you will shoot for 8 hours at a particular location, strike a deal with the owner/manager to pay them based on that time only. Also, try to shoot at such a location during non-business hours. Always weigh your options. Do you know anyone who owns a bar or a place that “looks” like a bar? Sometimes you can shoot in a location that makes it appear like the place you have in mind in your screenplay in order to cut down the budget. Keep those options open for budgetary reasons. You will have to make phone calls and visit locations and speak to the owner or manager about shooting permission and fee. With my latest film project I needed a club. I went to countless places and spoke about the possibility of using their location to make my movie. Some places didn’t have the time of day, while others were more interested and still others wanted to charge me extraordinary amounts of money for an 8 hour shooting day. Eventually, through trial, error and will power I found the right location for the right price. This process of location scouting is extremely time consuming and you need to have patience during this process. You have to factor in your cast and crew. Are you paying your actors or do you have actor friends of yours that you will cast without paying. If you are paying your actors, how much? Are you making this a Sag-Indie project? If so, then you must pay your actors. Whether it be union or non-union talent, you must factor this in your budget. A solid crew is absolutely essential. You don’t need a million person crew working on your film. But you will definitely need a director, cinematographer, producer, sound/boom operator, grip, gapher and a few production assistants. Each crew member is an essential part of the team behind the lens. Just as important as your cast team in front of the lens. If you don’t have actor friends already in mind for parts in your script than you will need to hold auditions. 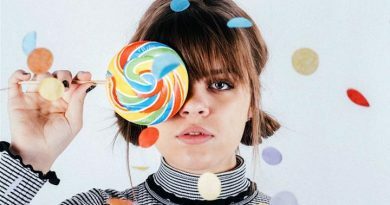 Having a casting call is educational in and of itself because you will be sitting on the other side of the table seeing what a casting director experiences and you will gain new insight into their process. Post casting notices up on the internet and free casting websites so you cut expenses and search for a studio or space that you can invite actors to that is both reasonably priced and decent for the actor to audition in. Your cast and crew need to eat. There may be 8 hour work days and you will need to make sure everyone is fed properly and cared for. There are local businesses willing to give you great deals to cater food to you or if you have someone who may like to cook on a daily basis for your team. You can also be smart about things and offer pizza and sandwiches in order to satisfy needs and keep costs down. On my film I took everyone to a restaurant because I know the owner and worked out an arrangement with that owner for the benefit of their business. I was able to feed my whole team on the first day of shooting which increased camaraderie and the family feeling you need to do good film work together. It’s always good courtesy to cover whatever transportation fees your actors and crew will encounter. There are ways you can cut down the costs by carpooling or borrowing someone’s van and meet everyone at a designated location each shooting day. It’s always a good idea to have rehearsals, if possible. If you have rehearsals, you must factor that in your budget as well. You may even be able to have a reading or rehearsal at your apartment or house. You may also want to meet with your crew over coffee and go over the logistics, visit locations beforehand and discuss the details at hand for production. You may want to make your short film a union project. The best way to do that is through SAGindie. I have worked with them to get the proper contracts for actors who were SAG in my films. They are extremely helpful and professional and have some really great resources. If you don’t know anyone who can lend you their equipment, you can always get a good cinematographer who has their own equipment and is willing to bring it onboard for your film. You can work out a deal based on what you will pay them for the work and their camera equipment. I would also advise familiarizing yourself with camera and lighting. You do not need to be a camera expert, but education goes a very long way so you can stay within budget and actually understand the pros and cons to different cameras. For my latest film I went through a ton of different cameras until I went with the one I felt was the best match based on the story I wanted to tell. Your director will greatly aid you in this department. Always try to hire a gapher or even a grip that has access to lighting equipment. The more equipment, the merrier. There are even people out there who own amazing lighting equipment who simply wish to help out indie filmmaker projects and are willing to bargain with you depending on your shooting days. I was able to get $40,000 worth of lighting, grip & electric equipment, plus a truck included for $500 for a 6 day shoot. Everything is negotiable when making a film. Insurance: If you go with a rental house for camera & lights, it is always wise to purchase insurance. Companies like Insure My Equipment offer really good insurance deals to protect you in case of equipment damage. A good deal may cost you around $275.00 which you can take out of your film budget. For my most recent film ‘98 ST – Playland‘, I was able to raise over $3,000 to help me cover costs that first came out of my own pocket. You can always choose to raise the money and then go into production or recoup the money spent on production afterwards. I would recommend that you raise the money first or know that you can raise the money before commencing production because you don’t want to find yourself high and dry without financial backing. I would always recommend providing a more detailed campaign that shares your passion to tell your story with possible footage already shot to share with the fundraising community. usually a good crowdfunding company will provide for you steps and strategies on what works best for their particular community and platform and I would always advise you to pay attention to such tips. For ’98 ST – Playland’, I went with Seed & Spark because I liked the community and what also appealed to me was that you needed to reach 80% of your campaign goal in order to get green lit and release the funds. There are certainly other crowdfunding resources out there and I would always spend some time researching before making any final decisions. This should fall into the hands of your director. I choose to edit my own film with outside help from professional editors in order to have more thoughts and options to consider. This is my own process as a filmmaker but every director works their own way. Good editors can make or break your film so it is very important to take the necessary time needed to find a good one if the director doesn’t edit on their own. Review editors work online in narrative storytelling. You want to find someone who understand what it is to reveal story through narrative. Have they edited short films before? What is their track record? Who have they worked with? The same process goes for composer. You can always get music online for free or for a small fee to license music for your film depending on where you go. You may also decide to have an original soundtrack for your short film. You have to go through the same process of reviewing and listening to different composers. This will fall into the hands of your director. Having the proper atmosphere/dialogue sound/tone is essential to having a quality film. You can sort of get away with a film that doesn’t look the greatest but if you have a film that sounds poor, it’s much worse. Check out Red Hook Post, they are great people and true pros. They work with indie filmmakers. Your editor may have the sophistication to color correct & grade the film or you may have to take it to a post-production facility to have it done. This is something that again will fall to your director and must be discussed long before you hire him or her for your movie. Color correcting/grading is what will give your film the actual film look you need and is a vital step in the process of completing your movie. Okay, now that you have finished your film the next step is getting the world to see it. Marketing your film is a skill in and of itself. I would recommend getting a website built to showcase your film. If you don’t have money in your budget to get your own film website built, follow my steps on getting your own website for less. Take full advantage of the power of the internet. You now have the ability through websites, blogging, social media and more to reach and grow an audience for your film. The old way still works but there are new opportunities that you should implement that will provide for you additional press and exposure for all the hard work you put into making your film. This of course is an obvious one, but submitting your film to as many film festivals as you can is always a great thing. Hopefully, you have made some room for the cost of film festival submissions in your budget because it ranges from free to submit and up. The earlier you submit to a film festival the less expensive it will be. Costs to submit your film will rise the longer you wait to send it to a festival. Always try to get the early bird fee if possible. You may also want to look into a wonderful resource for filmmakers over at Screencraft that has a fund for short film of up to $20,000 in grants. Between 4-10 projects are selected and supported each year. Definitely worth venturing into. You guys should really check out The Film Collaborative which is a non-profit organization that truly supports filmmakers. The 6 steps I have shared with you is a good rule of thumb to follow to get you where you need to be. There are many other rabbit holes you will travel upon in your journey to make a short film but the experience will be well worth the effort. 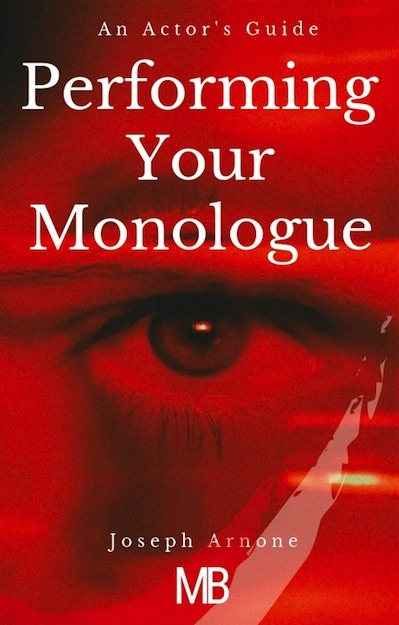 If you liked my article, please share it with your fellow actors from the social media links at the top of this post and don’t forget to connect with Monologue Blogger on Twitter. Thanks for reading!